Exploiting the shape freedoms made possible by Additive Manufacturing, HiETA has worked with customers to realise the net-shape integration of fuel injector assemblies. The benefits of this have been part count reduction, cost & lead time reduction, and increased reliability. One example of these developments featured extended fuel routing for pre-heating and vaporisation of fuel prior to delivery into the combustor. Featuring complex internal passages with enhanced heat transfer geometry that can only be created using additive manufacture and net-shape exits the solution delivered substantial reductions in NOx emissions. 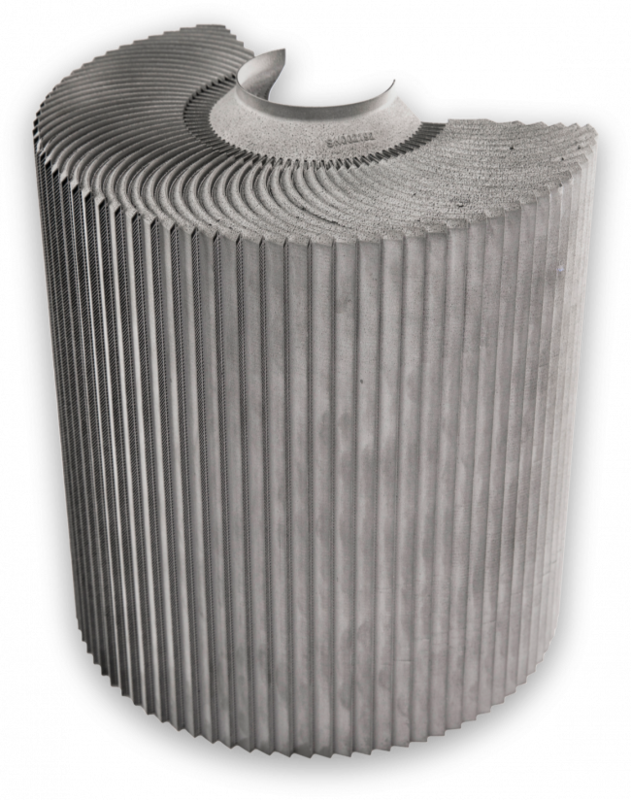 HiETA has worked with customers to design, make and test detailed structures to facilitate new combustor architectures. Examples include internally cooled combustor wall structures and fuel rails with net-shape annular injectors which have been combined with fabricated parts in a welded assembly. HiETA are also developing advanced combustion technologies that can now be realised with the additive manufacture and high-temperature corrosion resistant materials. These technologies will allow a step change in efficiency and emissions performance. In an alternative approach, HiETA is developing proprietary solutions for the integration of a can combustor within an annular radial flow recuperator. 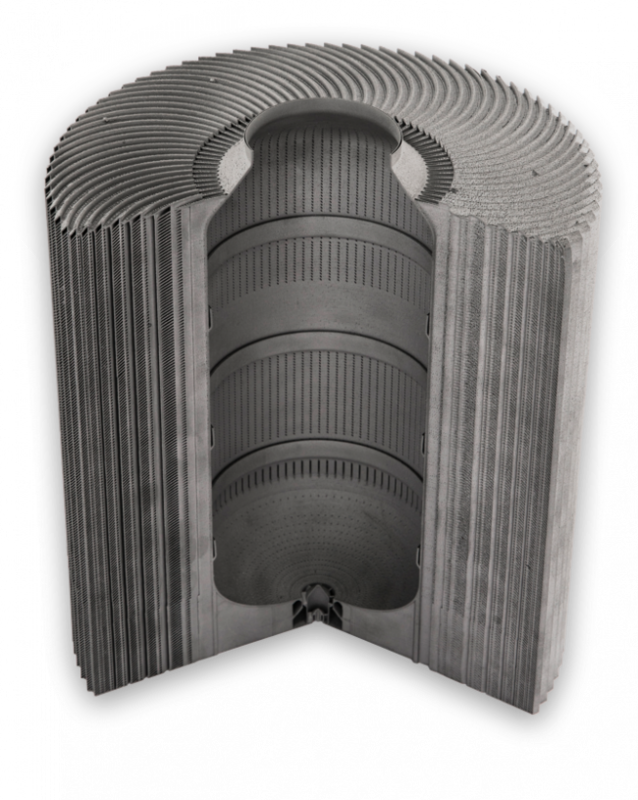 Here, complexities associated with distributed fuel injection and film cooling of the combustor walls are easily accommodated via Additive Manufacturing. Furthermore, this is integrated into the centre of counter flow involute geometry radial flow annular recuperator. Not only does this facilitate substantially improved packaging but increased system efficiency due to increased waste heat recovery.